The federal government has gained strength over the years in promoting transparency within hospitals with respect to many patient safety factors that include prevention of infections. Mandates for public reporting have been in effect for several years nationwide and the Centers for Disease Control and Prevention (CDC) has the responsibility for tracking six frequently occurring healthcare-acquired infections including, but not limited to, certain surgical site infections (resulting from colon and hysterectomy operations), central line-associated bloodstream infections and catheter-associated urinary tract infections. 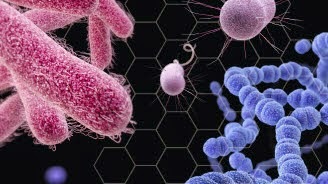 One in 25 patients develops an infection while receiving inpatient care and one in nine patients who develop an infection will die. A December column in the Miami Herald reported that "The CDC collected the data on infections from 4,683 hospitals around the country, including 179 in Florida, between October 2012 and September 2013." The article highlights that seven Miami-Dade hospitals fell below national standards for combating infections acquired by patients in hospitals, and patients at one hospital in Miami were more likely to develop infections than patients at any other hospital in South Florida, according to the data. This hospital did worse than benchmarked hospitals in four different categories of healthcare-acquired infections. Only one other hospital in Northern Florida, a teaching hospital, underperformed in more than two categories, and a total of only seven hospitals in the nation underperformed in four categories. The article notes that "As a whole, Florida hospitals are performing significantly better than national benchmarks in three areas: bloodstream, urinary tract and colon infections, according to CDC data released in March." A representative from the Florida Hospital Association, a trade group, added that overall, "hospitals in the state were working together to find effective strategies for reducing infections and other hospital-related injuries like falls and medication overdoses. Patients and providers would benefit from focusing on the problems because hospitals have higher treatment costs when patients develop complications under their care." To read the Miami Herald's in-depth report, access the column by clicking here.